Epiphany Gale has never believed the stories her Grandpa told her; never believed in gods or angels. When her Grandpa is murdered by agents of the sinister High Church however, her whole world is turned upside-down, as with his dying breath he entrusts Epiphany with a secret that her family has been keeping for generations. She is torn out of her comfortable life of mending clothes on the edge of a half-drowned world and catapulted into a race against time, hunted by the very forces she didn’t believe existed. 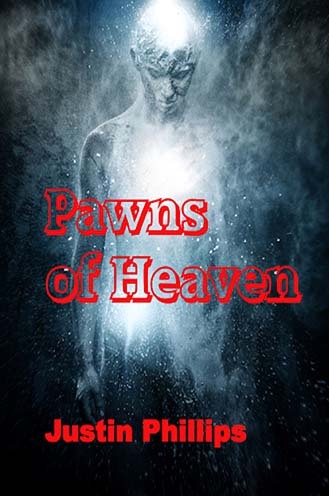 Now Epiphany along with her childhood friend Gerold must dodge angels, trust devils, and find a courage she never knew she had, because the secret her Grandpa gave her holds the key to winning a war that’s been fought for centuries; a war for existence itself.